A tip when sowing seeds in compost trays: let the compost come to room temperature because cold compost will inhibit germination. In early spring, plant herbaceous perennials such as Astrantia, Geranium and Oriental poppies, along with summer-flowering bulbs, making sure the bulbs have good drainage. Plant and move snowdrops, winter aconites and hardy cyclamen and split polyanthus after flowering to make several plants. 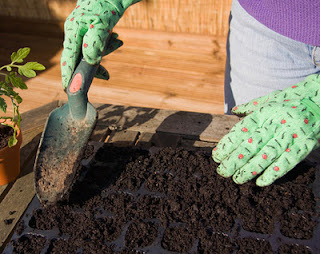 Sow under glass everything you like from antirrhinums to zinnias for swathes of colour come summer, or buy plug plants of your favourites to grow on for planting out after the frosts have gone.